Home Warranty Claim Denials - Avoid It! No one likes being rejected and rightly so! Whether it is by someone you have a crush on or an insurance claim, it plain stinks! 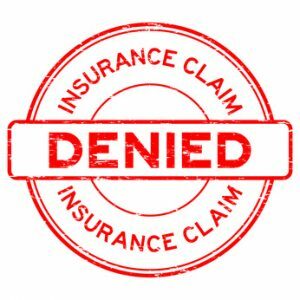 While I can’t solve your love life, I can tell you a few reasons why home warranty insurance claims get denied and how you can help ensure that your claims get approved without question. Every appliance requires some sort of regular maintenance to be covered by a warranty. If the regular maintenance is not done on a home warranty covered appliance or home system, the claim could be denied because the regular maintenance is a major factor in making sure the appliance or home system stays in working order. This is one of the main reasons for home warranty claims denials. According to www.realsimple.com there are 5 keys to keeping your refrigerator working properly. Check the seals on the doors, make sure the seal is properly sealing, this is an easy way to make sure the fridge isn’t working too hard to maintain the right temperature. Clean the fridge coils twice a year. Make sure the temperature is where it needs to be. The fridge temperature should not be above 41 degrees. If it is, turn the temperature down. If the temp doesn’t change then it is possible there is another issue that needs to be resolved. Oddly enough, you want to make sure your fridge isn’t sparsely filled. Food will absorb the temperature and help maintain the fridge. An empty fridge will have to work hard to maintain the cool temperature. While the home warranty company can’t keep track of how much food you keep in your fridge other wear and tear will be evident by a service person. If the cause of a warranty claim turns out to be neglect on the homeowner’s part, that home warranty claim will be denied. Even with proper maintenance a home warranty claim can still be denied. Most homeowners will be discouraged, pay the bill and not realize that just because a claim was denied doesn’t mean that the warranty claim process is over. There is a give and take process with a home warranty claim. Sometimes there is miscommunication on how the warranty claim was placed. Wording in a claim can lead to the dismissal of a claim without looking further into an issue. Be sure the wording is correct in the warranty claim paperwork. Everyone makes mistakes, even home warranty service people. It isn’t home warranty related, but I have had an insurance claim denied. I went to my family doctor for what I suspected was an ear infection. It should have been a covered issue. While I was there I happened to mention I had some jaw pain. The doctor said it might be TMJ (Lock Jaw) and that I should see my dentist about it. There was no other discussion about the jaw pain and I left thinking nothing was going to be charged except for my usual copay. Then a few weeks later, I received a letter in the mail stating that my “regular doctor visit” claim had been denied. Confused, I called the insurance company and told them that I was there for a regular visit, etc. They said the paperwork came through that I was being seen for TMJ, not the ear infection. I told the insurance company that it was incorrect. They said they don’t change medical coding on bills and I should contact the doctor’s office. I called the doctor’s office and I told the front desk that there must have been an error in medical coding. They responded, rather rudely, that they do not make medical coding mistakes. As this point I was frustrated. It wasn’t that much money, like $70. I paid the denied claim and moved on with my life. However, I am clearly scarred by the incident. If I had decided to pursue the denied claim, I could have had it covered. It would have meant more time and energy on my part for their medical coding mistake. Like many working adults, time is money and my time was more valuable than dealing with this issue. However, what if this was a large claim, say replacing a home air conditioning system? According to HomeAdvisor.com the cost of installing a new A/C unit ranges between $1,800-$10,000. At this cost it clearly would have been worth my time to fight the claim to get the paperwork filed properly. Filing an appeal on a denied claim can be done online with most home warranty providers. If your provider does not have an online claims process, contact your home warranty provider to get the proper paperwork needed to help resolve the denial. They will help ensure that you have all the documentation needed. You do not want to send all the paperwork in and learn that a document was missed causing even further delay in resolving the home warranty claim issue. If the insurer can’t provide online links to the needed appeal paperwork, they should be ready to mail the paperwork out to you, the customer. Getting the warranty through the denial process can be a lengthy and annoying process, but you can avoid having to go through the appeal process by dotting your I’s and crossing your T’s of home ownership maintenance and repair. When buying your home, have the home warranty start when you purchase the home. That way everything should be covered. Buying a home warranty after you have lived in it may cause a delay in coverage. Inspections by the insurer may be required to verify everything is in working condition. When buying new appliances always have a professional install them. I bought a new home in 2006. I did not have a home warranty. Like many new homeowners I wanted to get a new refrigerator. I declined professional installation. How hard it is to install a fridge, right?! It’s heavy, but it’s not complicated. We got the fridge in. No problems! I had my dad hook up the water line for the icemaker. All was great in my new home. Then I noticed my icemaker didn’t work. I called the maker of my fridge. They thought the line wasn’t installed properly, but I know my dad knows how to do those things. After a little arguing I decided that I don’t like ice that much and dismissed it. 30 days later I noticed my living room floor was wet. It certainly couldn’t be my brand new refrigerator. Then I found my fridge had been leaking water from the line to the icemaker the whole time. A service person determined there was a faulty part in my brand new fridge. No matter who would have installed my water line on my fridge it would have leaked and not make ice. The water leak also ruined my linoleum kitchen floor and required the carpet in my living room to be dried out. Replacing the floor, fixing my water line in the fridge and drying out the carpet in my living room cost over $3000. While this was not covered by a home warranty, luckily it was covered by the manufacturer’s warranty from my fridge. Even with a brand new fridge and “professional dad” installation, there was still a warranty issue. This just goes to show that the “what ifs” in life need to be covered! Always look for the coverage that will provide you with the best peace of mind when it comes to covering your biggest investment, your home!